New Plant Based Podcast Launched: A new podcast has been launched to celebrate a love of all things plants. The Plant Based Podcast, sponsored by Suttons Seeds, previewed on Sunday 3rd February and within less than 24 hours of being available on iTunes had rocketed to the top of the games and hobbies charts, beating all others to the number one spot in the UK. Since then, three new episodes have been launched with a new episode going live fortnightly on Sundays. The podcast is a project launched by two prolific gardening writers, bloggers and presenters – Michael Perry, aka Mr Plant Geek, and Ellen Mary. 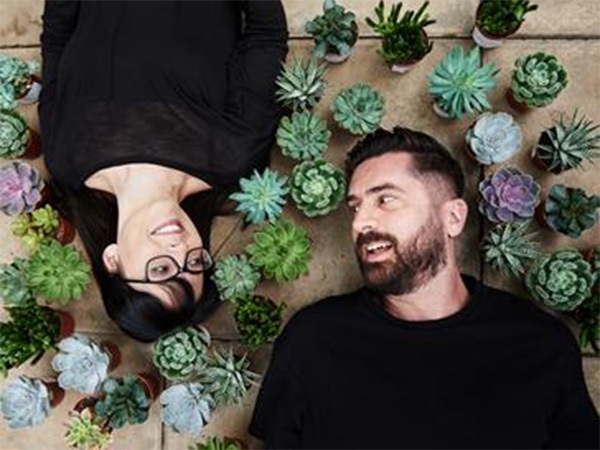 Ellen and Michael have been plant lovers since childhood, and have a combined 35 years worth of experience in the industry as well as a strong, engaged social media following. It comes at a time when plant based alternatives are increasingly in the spotlight, with names like M&S, Sainsburys and Greggs all recently launching vegan ranges. However, The Plant Based Podcast goes beyond veganism and investigates the wider benefits and uses of plants, as well as the people embracing them in their day to day lives. 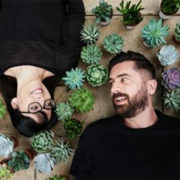 In each episode, Michael and Ellen meet someone with a true passion for plants – from a bodybuilder whose muscles are now entirely plant based purely from converting to veganism, to an expert at the Chelsea Physic Garden who discusses home remedies using plants, as well as the owners of a restaurant tipped to be the first vegan eatery to receive a Michelin star. Other episodes explore the importance of bees and how the right plants can make a vast difference; how the urban jungle trend can change our gardens; and how the world of edible plants can tantalise taste buds. Subscribe to the Podcast via iTunes or Spotify, and visit theplantbasedpodcast.net for more information. On the website you will also find exclusive content and articles to coincide with the topic of each episode.